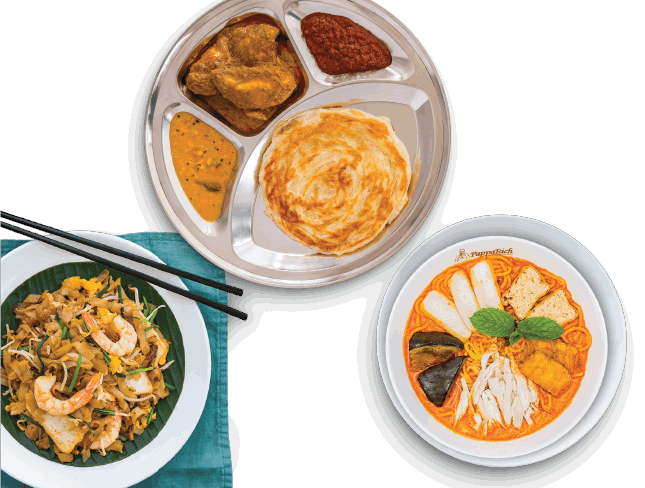 With migrants arriving over the centuries from the Middle East, India, China and Indonesia, Malaysia has a rich multicultural heritage, and this is reflected in Malaysian cuisine, which is heavily influenced by Indian, Chinese and Indonesian cuisine. From the use of the wok to the combinations of spices found in popular dishes, Malaysian food is generally spicy and always flavourful, often with fragrant combinations of spices such as coriander and cumin (the basis of many Malay curries), lemongrass, kaffir lime leaves, cardamom, star anise and fenugreek. Like many countries in Asia, rice is a staple of Malaysian cuisine, with local or Thai rice being the most common, and Indian basmati rice used widely in biryani dishes. 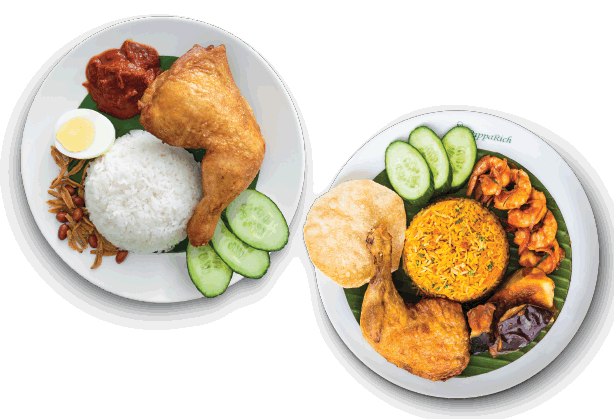 Nasi Lemak, which is rice steamed in coconut milk and served with dried anchovies, peanuts, hardboiled eggs, cucumber and sambal, is often referred to as Malaysia’s national dish, and can be eaten at any time of the day. It is best enjoyed with curry or the very popular Rendang, which is a spicy meat stew usually made with beef. Noodles are another staple, especially within the Chinese community, with the best-known example being the spicy noodle soup laksa. There are two main types of this crowd favourite – Curry Laksa, which is a coconut curry soup with noodles; and Asam Laksa, which is a sour fish soup with noodles. Meanwhile, Indian breads such as Roti Canai have transcended all cultures to become a quintessential Malaysian breakfast food, although it is just as widely consumed for lunch or afternoon tea, and is commonly enjoyed in the company of friends as a midnight hang out snack. 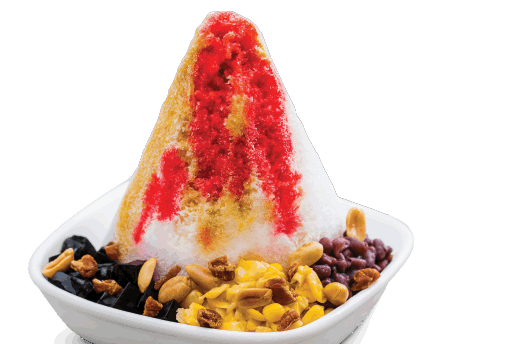 As for dessert, the iconic Malaysian dessert of ABC, also known as Ais Kacang, is a delightful burst of colour and flavour. The sweet concoction of shaved ice covered in syrup and evaporated milk, and served with a variety of toppings such as cooked red bean, peanuts, corn, and even ice cream is sure to please, especially in Malaysia’s balmy tropical climate.